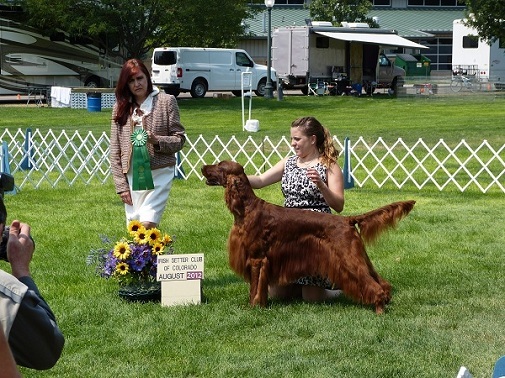 Rufus is a big, elegant, sweet boy with a solid, flat topline great Tail set lovely front and beautiful head and expression. 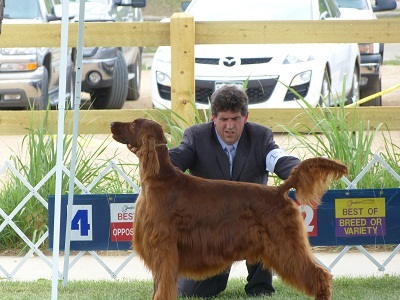 He started his show career with a 4th place in his first ever show which was also the 2010 Nationals. 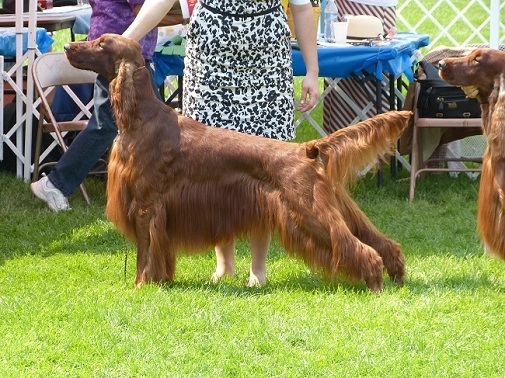 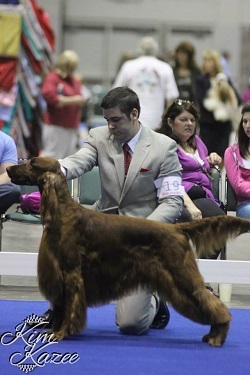 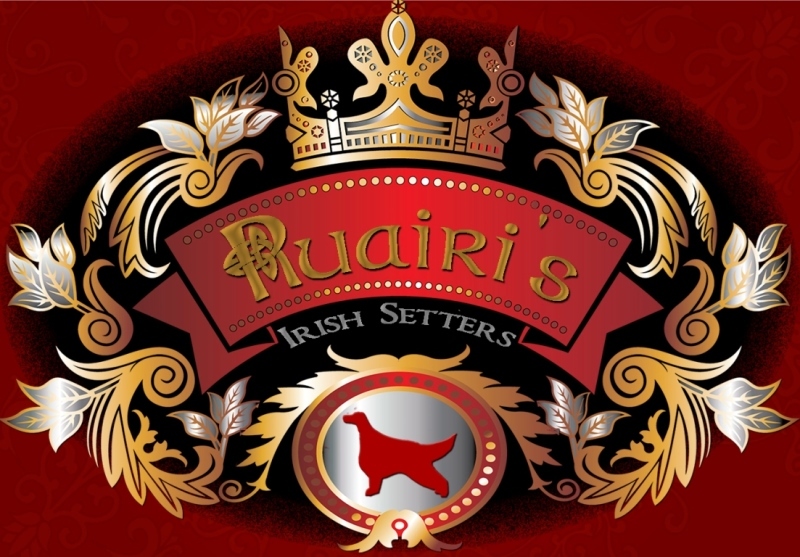 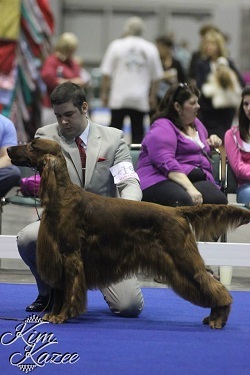 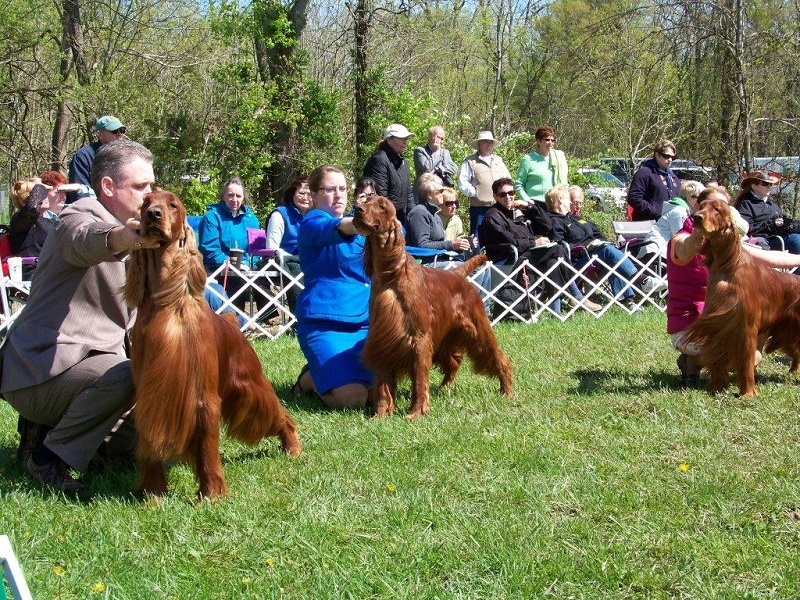 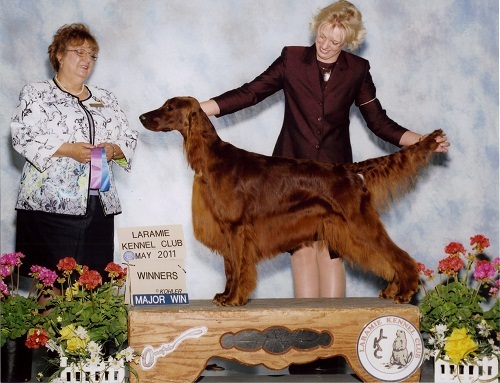 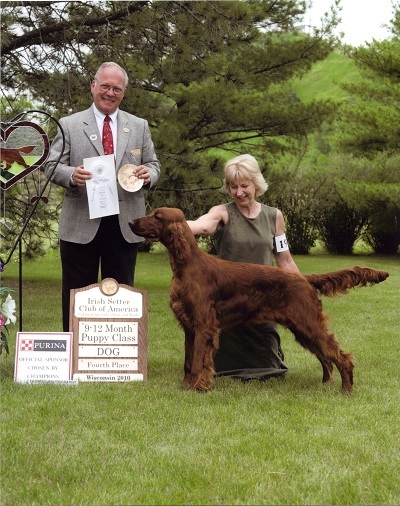 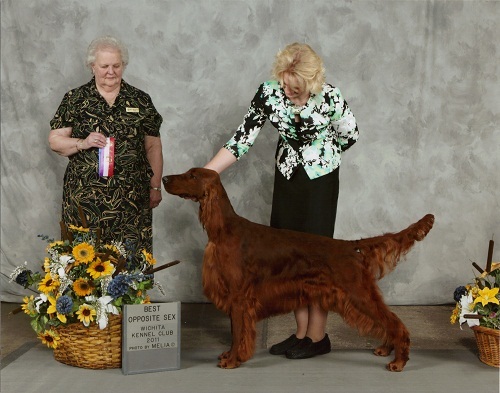 His very next show he went Best In Sweeps over the Nationals winning best puppy and best in sweeps winner. 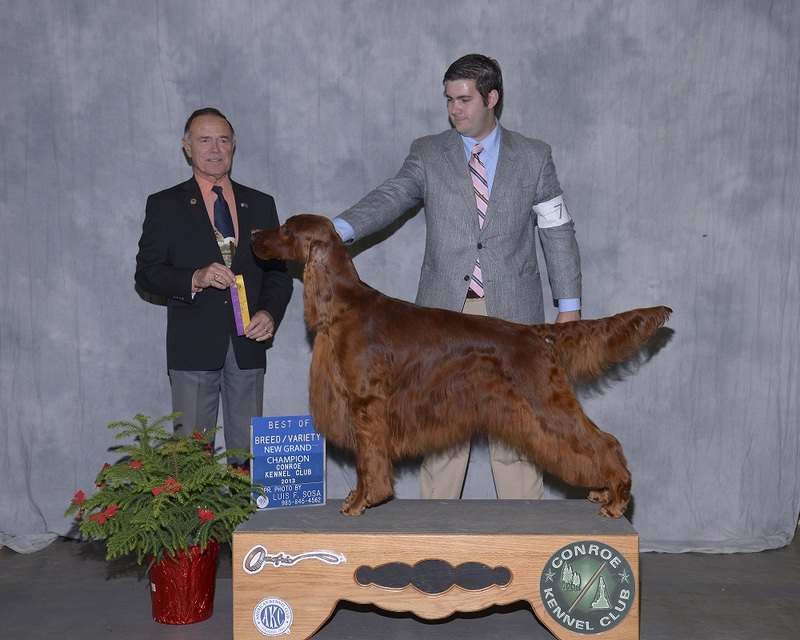 He went on to win 2 more Best In Sweeps and a Best of oppisite in sweeps not bad 3 out of 3. 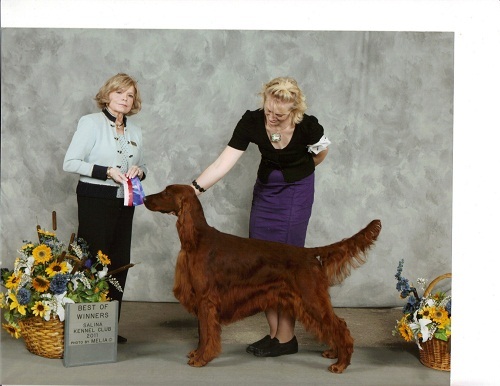 He then was shown on 5 weekend to finished his Championship at the age of 21 months with 3 majors under judges Mrs Patricia V Trotter, Mrs Marilyn Y Pipes and Mrs Anne Savory Bolus . 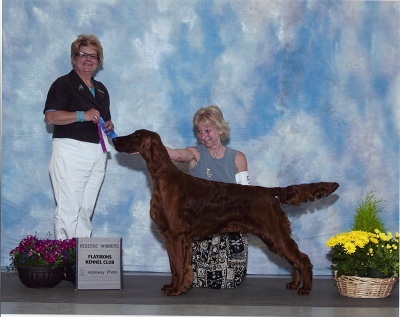 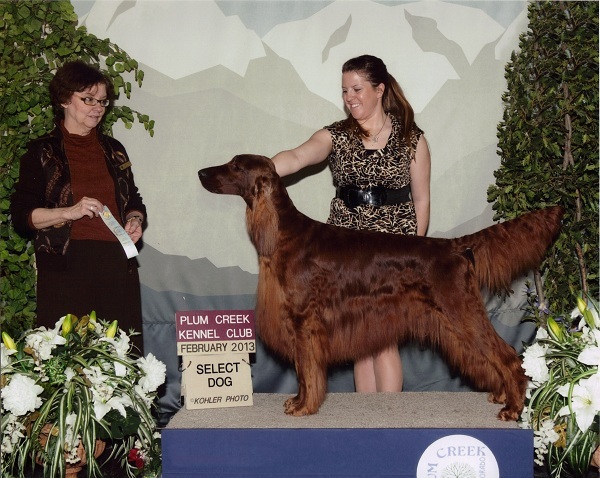 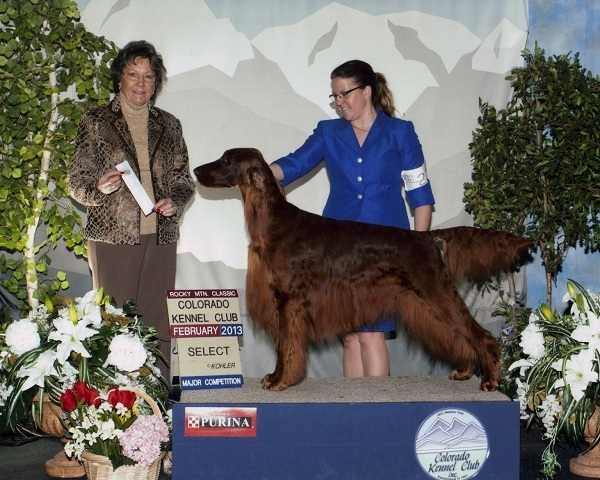 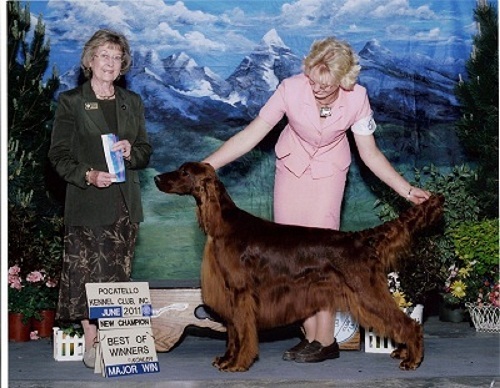 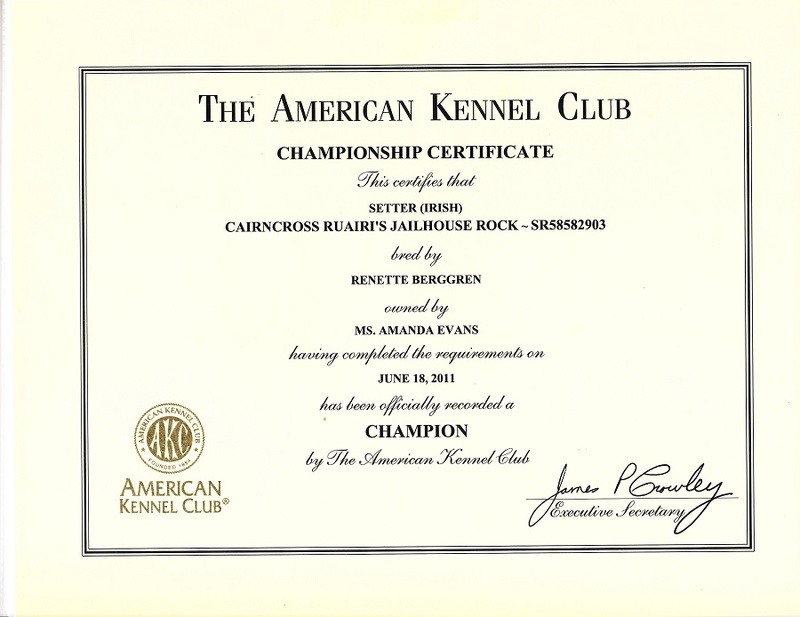 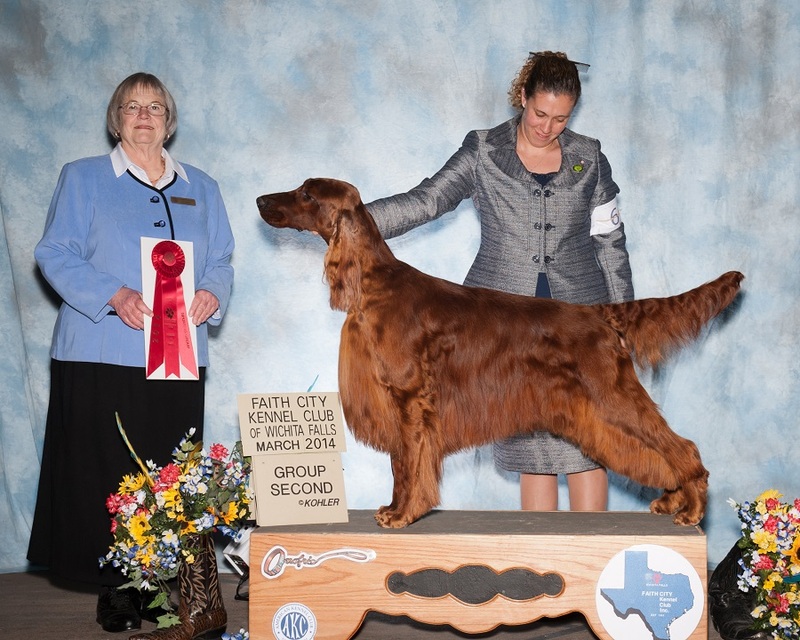 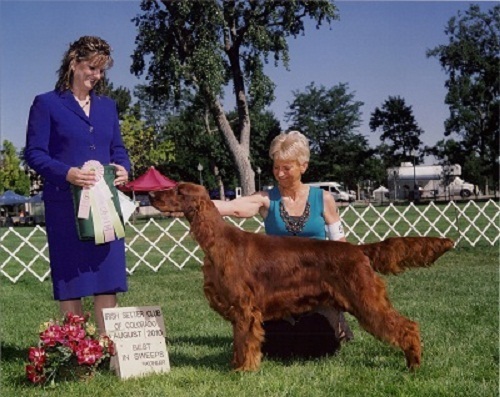 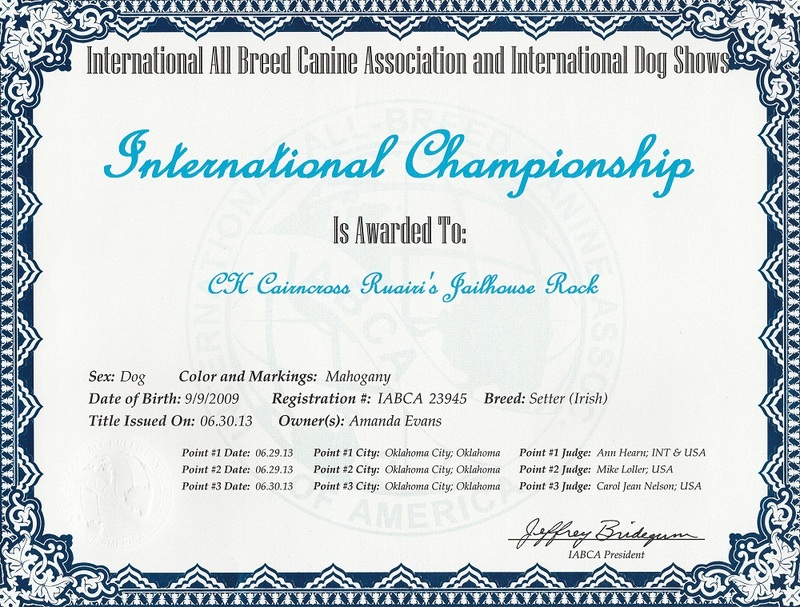 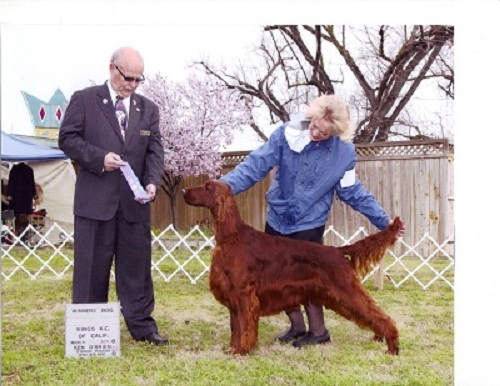 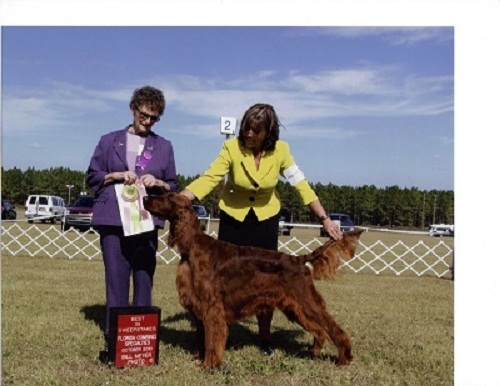 His first show as a special he went BOB for His first major towards his Grand Championship.Rufus finished his grand championship with 6 Majors and in style by going select dog at Eukanunba. 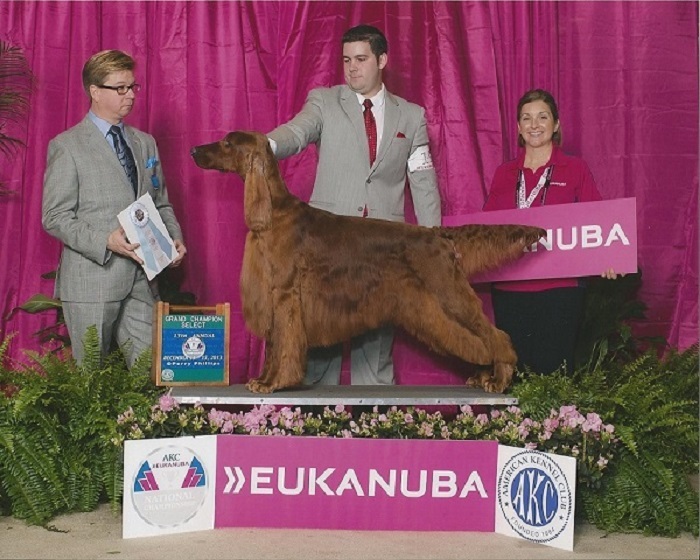 His future as a sire promises to be exciting. 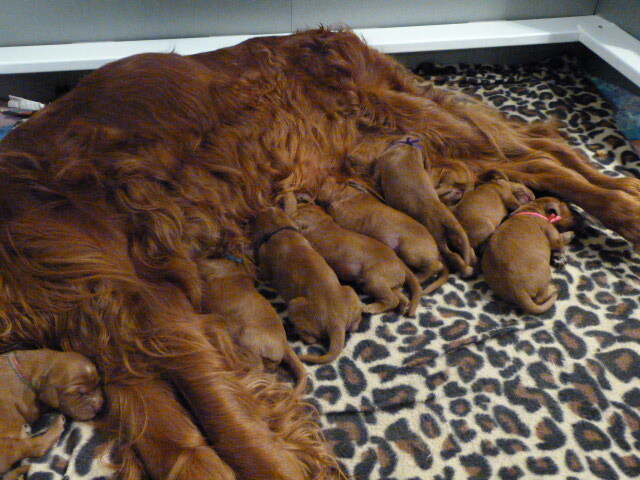 He has 3 litters on the groung with more to come. 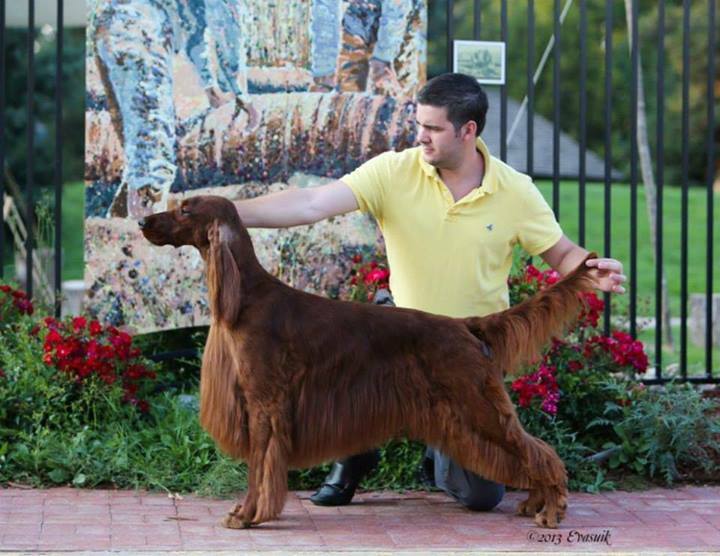 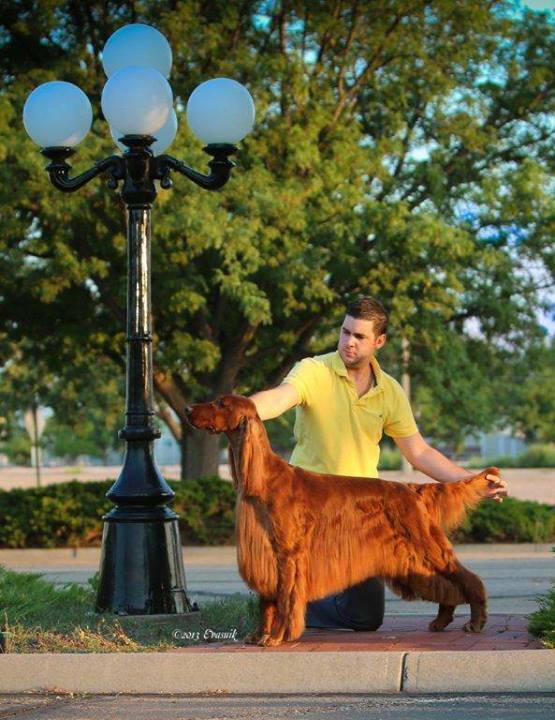 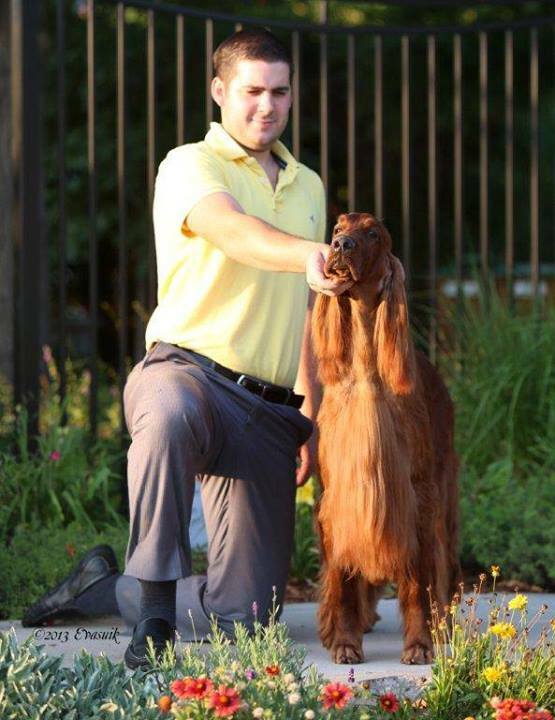 Look for his offspring in the show ring this fall.